The Firefrit pendant from Tech Lighting launched in 2007 and has since grown in popularity due to its colorful twist on the popular Fire pendant. The Firefrit features a brilliant frit glass giving it a bold yet sophisticated appeal. 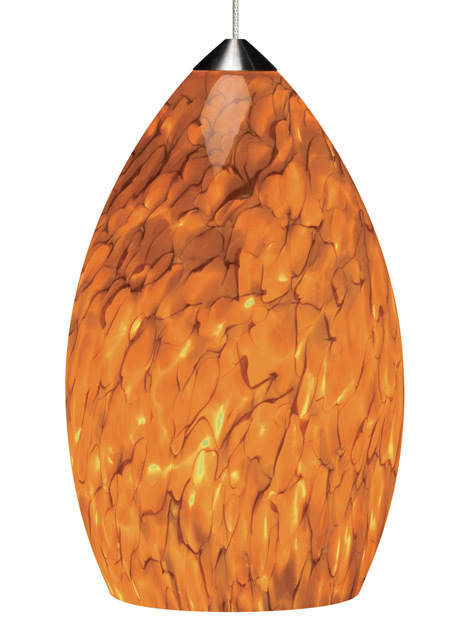 Murano glass surrounds a frosted raindrop diffuser concealing the lamping inside. At 7.3” in length and 4.5” in diameter the Firefrit is ideal for kitchen island task lighting, dining room lighting, and countless commercial lighting applications. The Firefrit pendant is one of five Fire pendants available from Tech Lighting – simply search for the Firefrit pendant to find its close relatives. Pair this pendant with the Monorail system by Tech Lighting for greater design customization.